Motorcycle luggage comes in a wide variety of styles, shapes, functions, colors and other unique functions that attract riders. Working exclusively with Viking Bags to provide you with the most affordable yet highest quality luggage on the market, we're providing customers with the most resilient products available. Whether you're a long distance traveler or daily commuter to the office, we have the perfect luggage solution for your needs. 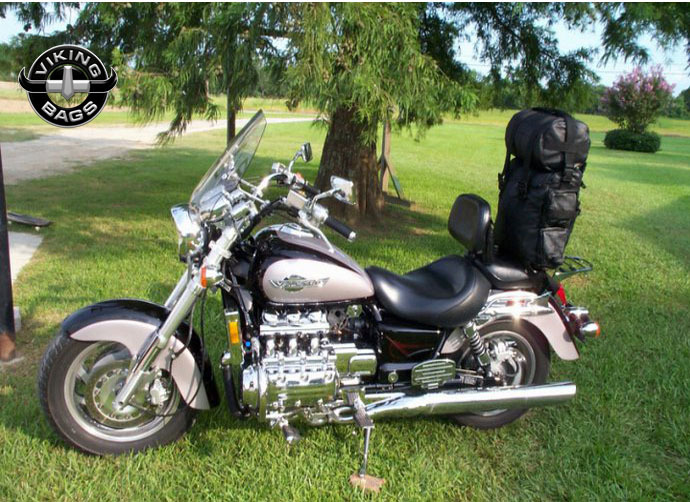 Serving every type of motorcycle model imaginable, you don't need to look any further than our online collection of luggage products. So take a look inside and learn more about each of our luggage products, and feel free to give us a call with your questions. Featuring a number of different standard features found only in Viking's lineup of different luggage solutions, riders can rest easy knowing their goods are protected throughout various scenarios. 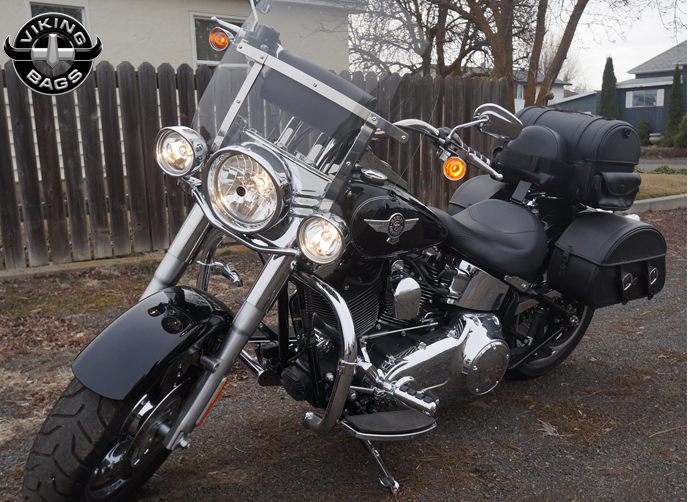 For instance, the locking mechanism and key system found in a lot of saddlebags, trunk bags and sissy bar bags helps prevent theft from becoming a reality when away from the bike. Keep your goods locked away and safe from prying eyes when you're not around. When you're ready to access the interior compartment of these bags, the easy locking system gives you the ability to quickly unlock. Additionally, organizational pockets and mesh sleeves are featured in many of the Viking luggage we offer in our online catalog. This gives riders the convenience to stow their personal items in separate compartments, keeping them safe, free from damage and properly secured while hauling down the road. For further customization of our luggage products, we offer riders a great selection of hardware kits and mounting systems for a number of different applications. 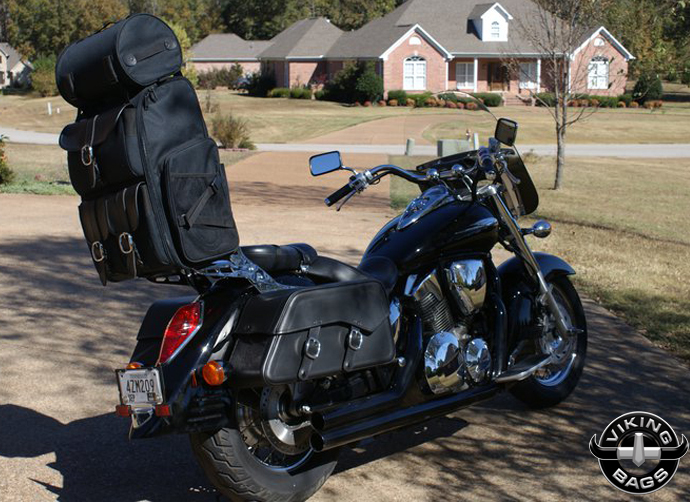 As an example, our quick disconnect system allows riders to hang a variety of luggage solutions on a motorcycle, then dismount or mount this luggage quickly and effortlessly. So, if you only have one pair of motorcycle saddlebags and wish to use them with a number of different motorcycles when needed. 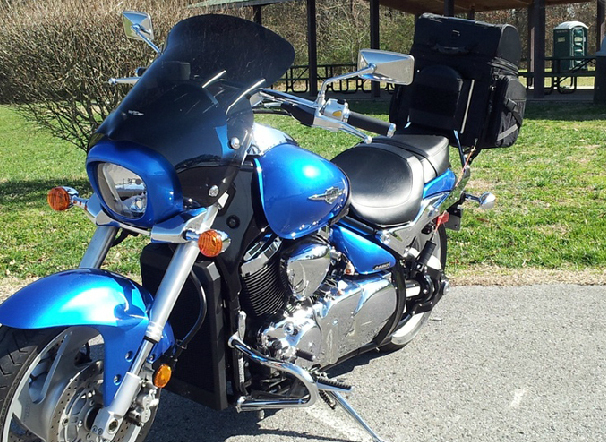 Likewise, a rider may wish to adorn his or her one motorcycle with multiple different saddlebags, therefore a quick disconnect system allows this without wasting much time. It's all in the details, and Viking knows exactly what riders need in luggage hardware. 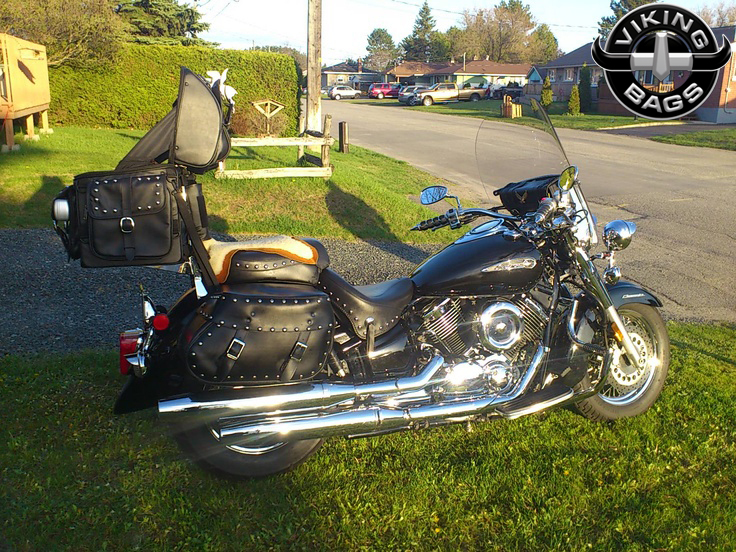 All out Sissy bar bags, tank bags, tool bags and back support bags have rigid bodies in order to ensure they do not loose there shape easily. All of our tail bags come with rain covers and mounting straps. Installation of any Viking Bag is easy. Not only you will get an instruction sheet but you may call us and talk to one of our representative in order to go over installation. Our state of the art website and especially the parts finder makes it easy for motorcycle riders to find the luggage of his or her choice fast. Regardless of how much storage capacity you are looking for we have something for you. We manufacture bags in all sized and shapes. Most of our Viking luggage is waterproof and features an airtight seal around the closure, whether it be the zipper system or chrome polished buckles. 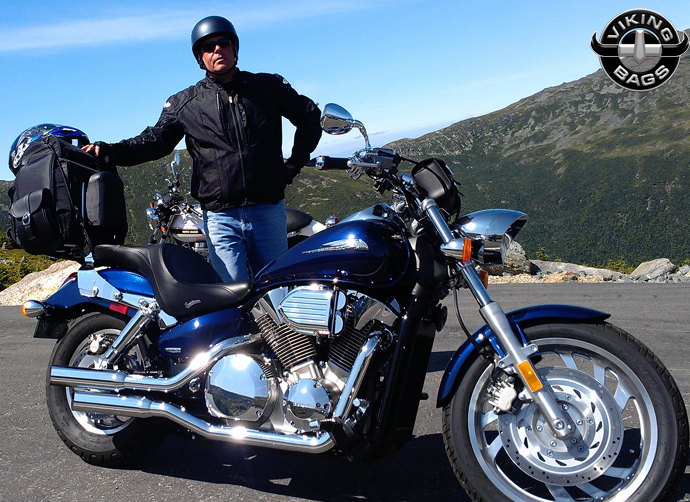 When it comes to sophisticated styling and weather resistant construction, Viking is at the very edge of the industry. We wouldn't want you getting stuck in the worst of weather conditions, so we've chosen only the best motorcycle luggage to handle the job. It doesn't matter what brand of motorcycle you ride or what luggage you've selected to adorn your vehicle, we've got you covered and your valuables stay valuable. 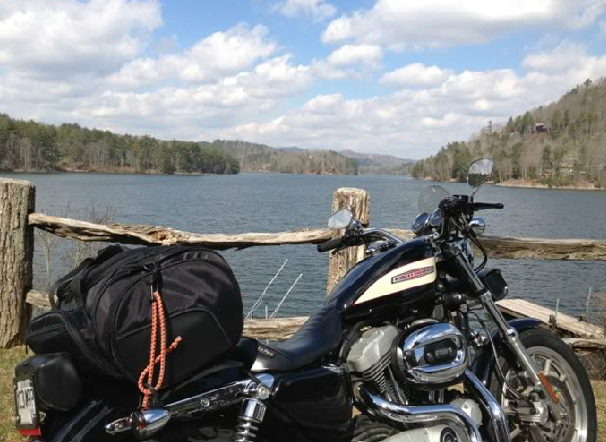 We understand the trials and tribulations that come with ordering saddlebags, clothing and gear over the Internet, so we want to ease the process a little bit for you. 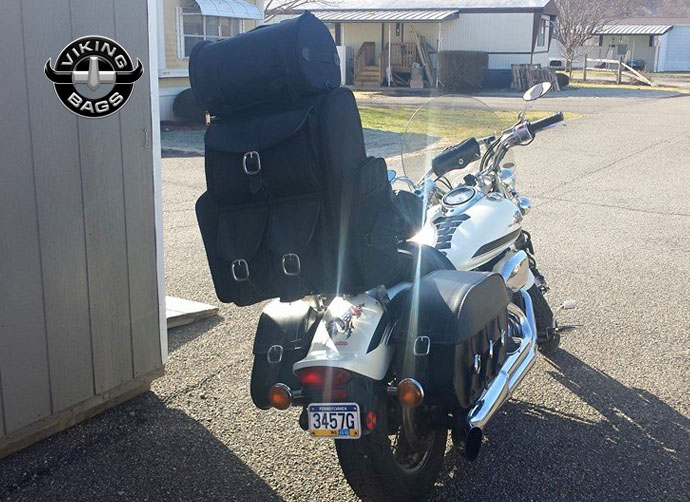 We offer every purchase of our motorcycle luggage with a 30-day money back guarantee, saving the trouble of dealing with merchandise you're not completely satisfied with after purchase. If you wish to return or exchange any luggage you've ordered from us, we'll be happy to oblige your full refund or help you find a different solution for exchange. That's our commitment to you as the customer, and we don't rest until you're happy. With that said, what are you waiting for? Enjoy your shopping experience here!